By Niklas Zetterling & Michael Tamelander, Casemate Publishers, USA 2009. Zetterling and Tamelander tell the story of the Tirpitz, Germany’s last super battleship, and the desperate, if not obsessive, efforts by the British to destroy her with a comprehensively different perspective from their previous work about the battleship’s sister, Bismarck: The Final Days of Germany’s Greatest Battleship. 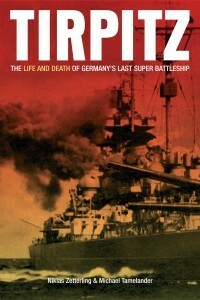 In their introduction to the book, the two Swedish scholars admit that it was impossible not to compare Tirpitz‘s fate with that of her sister, whose pursuit and destruction occurred during a single week in May 1941, 70 years ago. Compared to the meteorically short career of the Bismarck, that of the Tirpitz is played out over a much longer period of time and across some of the most inhospitable regions of the European theatre of war – the Arctic. Her mere existence greatly affected British maritime strategy, which saw the battleship as a major threat to allied convoys, especially those to Russia. For three years, the British executed several operations, some extremely imaginative and resourceful, that attempted to directly or indirectly knock out the behemoth once and for all. Zetterling and Tamelander write about the direct operations that were planned and executed by the British; human torpedoes, carrier air strikes and midget submarines were used against Germany’s super battleship. The one major indirect operation that denied the Tirpitz a French dry dock to refit if the battleship had sortied into the Atlantic is also highlighted. The authors provide an excellent synopsis of the attack on the dock that was first documented at length by C.E. Lucas Phillips in his book The Greatest Raid of All. I first became aware of the commando raid against the dry dock located in St. Nazaire France, when in junior high school. At a book fair, I purchased a paperback edition of the Greatest Raid of All. In fact, a movie was made about this raid. Finally, the authors provide the reader with a succinct account of the RAF operation that sank the German behemoth with 10,000-pound “Tallboy” bombs flown by Lancaster bombers from 9 and 617 squadrons – 617 was the famed “Dam Buster” squadron. 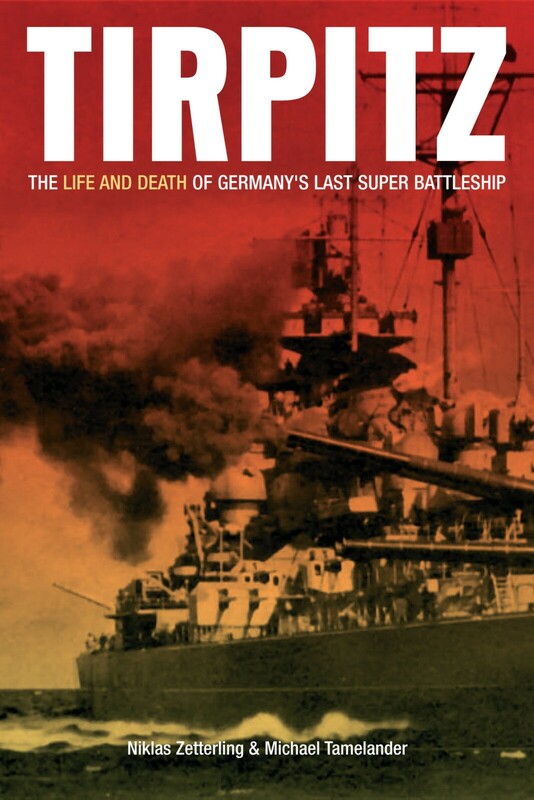 The authors have woven Tirpitz‘s story extremely well and in doing so explain the strategic implications and dramatic battles surrounding the super battleship. 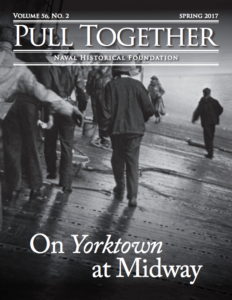 Their book is an excellent study of an aspect of naval strategy the Germans used with such aplomb. As a “Fleet in Being”, Tirpitz was truly a Sword of Damocles hanging over the allies. Her presence in Norway would pay handsomely, when in July 1942, the First Sea Lord of the Admiralty, Admiral Dudley Pound, ordered a Russian-bound convoy, PQ-17, to scatter, because intelligence indicated the Tirpitz had sortied from its moorings to intercept. The consequence of this decision was nothing short of a disaster; PQ-17 was slaughtered by the Luftwaffe and patrolling U-boats. Zetterling and Tamelander have succeeded in their hope to provide a better understanding of the role Tirpitz played in the remorselessly greater maritime campaign that was the Battle of the Atlantic. Their work is a welcomed addition to my library.